Redavia, a German company that offers solar solutions, announced that it will be able to count on a $2 million investment for its expansion in Ghana. These funds are made available by the Electrification Financing Initiative (ElectriFI), an investment fund that supports the private sector in providing deserved areas with electricity. 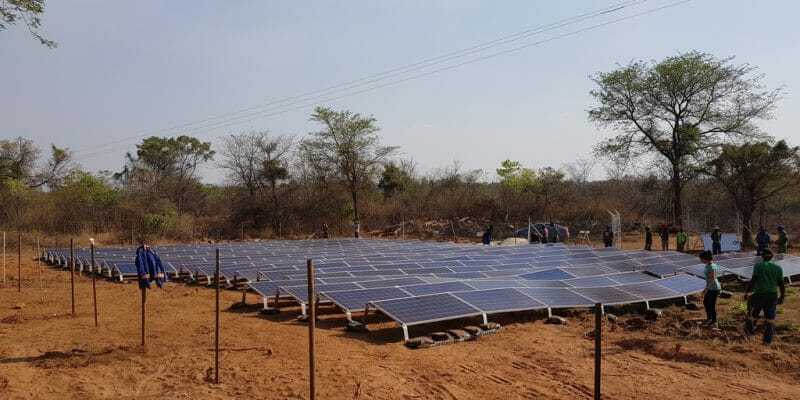 The German company Redavia, which specialises in off-grid solar energy production, is continuing to expand in Africa, particularly in Ghana. In this regard, it will benefit from a $2 million loan facility from the Electrification Financing Initiative (ElectriFI), an investment fund that supports the private sector in electrifying areas not served by the national electricity grid. Thanks to this new investment, Redavia will continue its activities and install at least 55 solar off grids with a capacity of 100 kW each. The investment could thus make it possible to produce up to 15 MW according to ElectriFI. “The systems will be based on solar photovoltaic technology, which will be hybridised with other production options to serve islands and off-grid communities. Ghana enjoys abundant sunshine with 5,524 kWh/m2/day in many parts of the country all year round,” says the enterprise in a statement. Another partner recently invested in Redavia for its development in Ghana. This is responsAbility investments, which in October 2018 decided to inject $4 million into the company’s Ghanaian subsidiary. These investments should also enable Redavia to better market its new system. It is a system based on a preconfigured container model, including “high-performance solar modules and high quality electrical components”. A solution that allows you to deploy the off grid very quickly, but also to dismantle it and redeploy it to a new site, in a flexible, cost-effective and fast way. Also in this West African country, the company builds solar parks for companies. In December 2018, it won a major contract to build mini solar power plants for Special Ice, Ghana’s largest beverage company. The agreement includes the deployment of nine solar units with a total capacity of 756 kWp at Special Ice’s production site in the Oyarifa district of Accra, Redavia’s largest solar farm in Ghana to date. The company is also present in several other East African countries, including Tanzania. It has deployed its famous containers there, notably in a gold mine owned by Shanta Gold, a British company based on the island of Guernsey.